NVIDIA is a huge brand name mostly famous for its high performance VGA cards. In the last five years the company tried to enter the mobile market with its series of mobile SoCs, tablets and media boxes. We have NVIDIA’s latest media box solution in our hands for a presentation. SHIELD TV (2017) is the successor of SHIELD TV (2015) with some few but major changes compared to the old model. 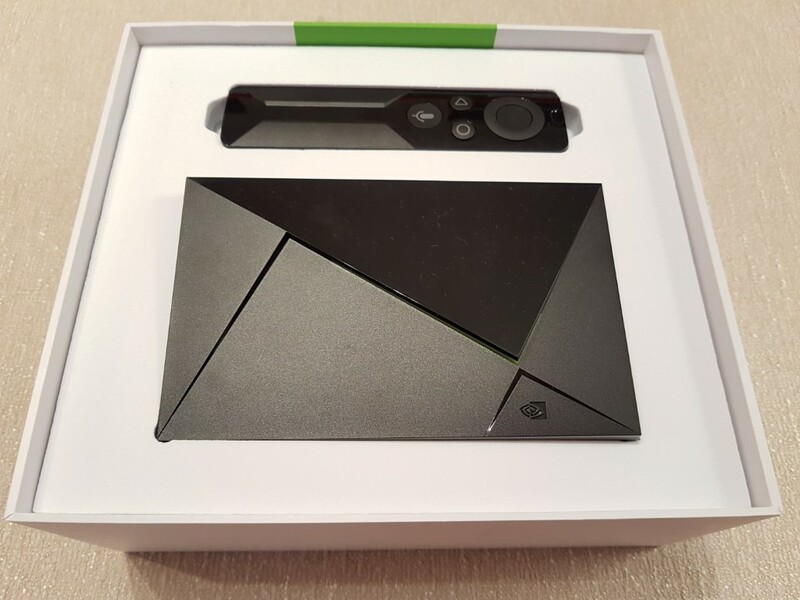 SHIELD TV arrived in a large (for a media box) white box. Inside you will find the media box itself, the remote, the game pad, a micro USB cable (to charge the game pad), a wall type power adapter and quick start manuals. No HDMI cable is included. Specifications are quite rich and are on par with SHIELD TV’s relatively hefty price tag (229€ in Europe). It is powered by NVIDIA’s Tegra® X1 processor with a 256-core GPU and 3 GB of RAM. X1 processor is one of the best around in 3D performance so 3D Gaming should be as good as it gets for an Android device. This time (compared to previous model) there is a HDMI 2.0b port with 4K@60fps, HDR support and HDCP 2.2. HD Audio pass-through is also supported with latest codecs like Dolby ATMOS and DTS:X to be included as well. Storage is limited to 16GB (~11GB free) but can be expanded with a USB drive since Android Nougat (7.0) provides such an option. I/Os are typical for a modern media streamer with 2 x USB 3.0 ports and the aforementioned HDMI 2.0b one. Networking is the best around with 802.11ac 2×2 MIMO Dual Band, Gigabit LAN and BT4.1. Besides 4K and HDR official support for both NETFLIX and AMAZON VIDEO services, SHIELD TV can also be used as a PLEX Server/Client and can be connected with Smart Home protocols like Z-Wave. 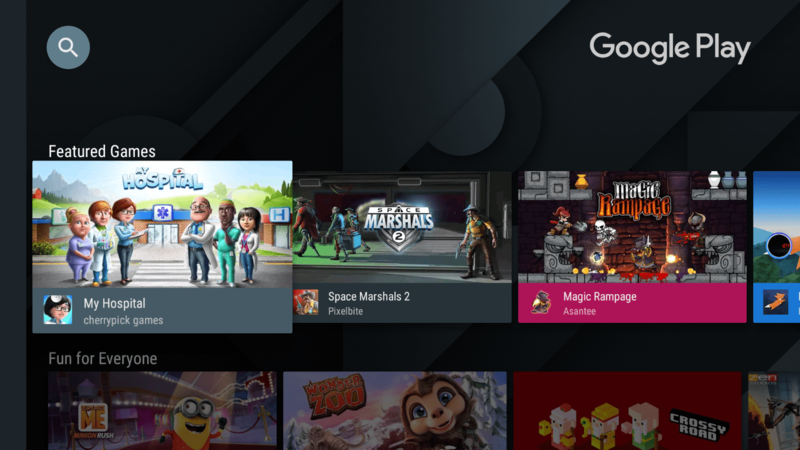 One of SHIELD TVs major features is NVIDIA Games and GeForce NOW for exclusive android games and game streaming. NVIDIA bets big on these two (especially GeForce NOW) hence the included game pad. 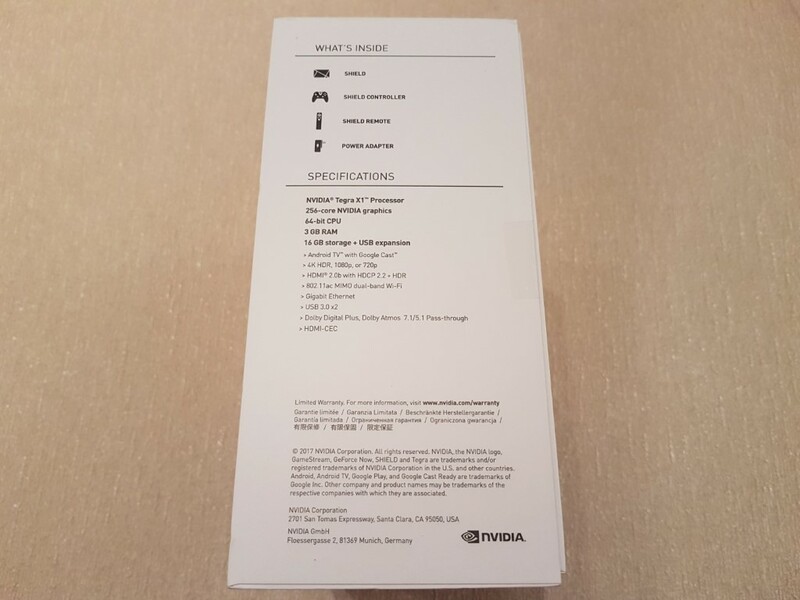 If you are owner of previous gen SHIELD TV you will probably not find many important reasons to upgrade other than HDMI 2.0b. 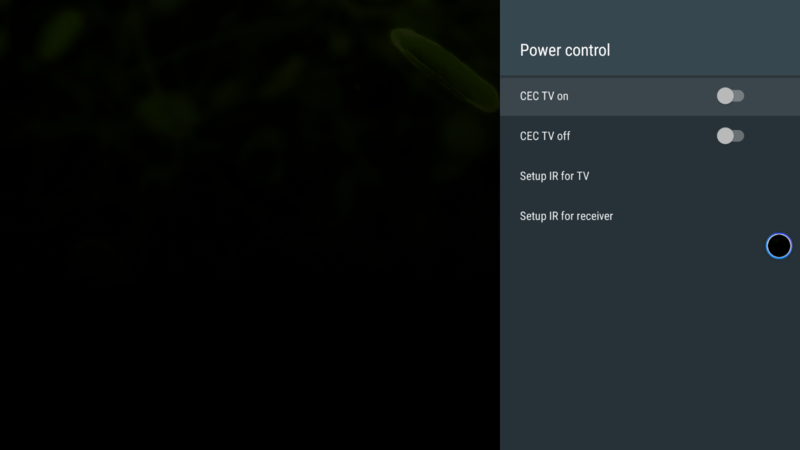 Overall, both hardware / software support and capabilities are top notch and the best we have ever seen in an Android media box. 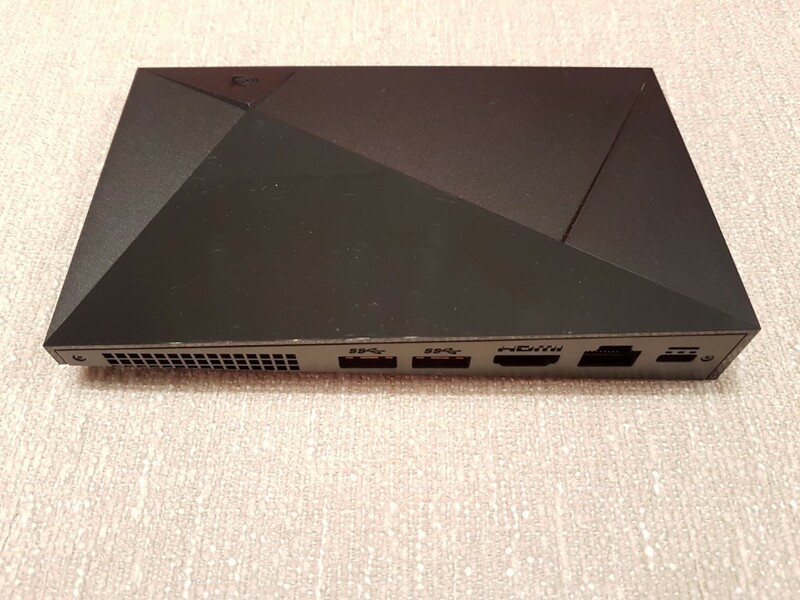 SHIELD TV is small with dimensions that reach almost to 15.9 x 9.8 mm. Design is the same with its predecessor sporting triangle lines that provide “sport” looks. Housing is made of plastic and it is of very good quality. At this price range, perhaps an aluminum based one would be a more appropriate choice. 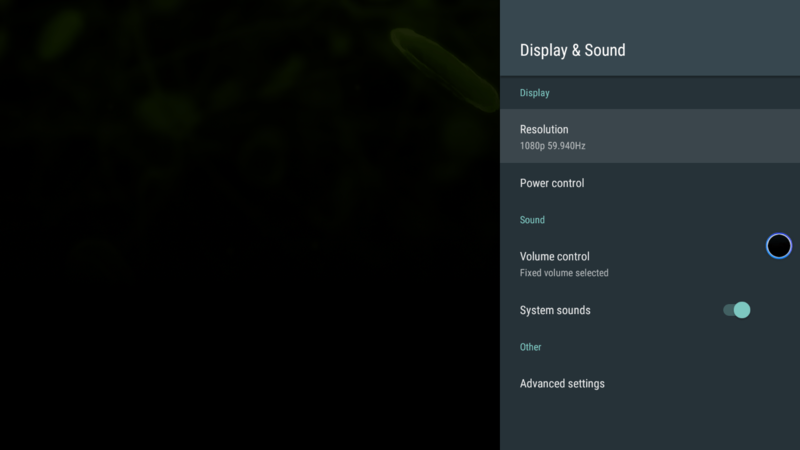 When in use, a green light appear on top (NVIDIA’s signature color) that can be dimmed or be turned off from the Android menu. All I/Os are at the back so cable management should be easy. Media remote is really special. 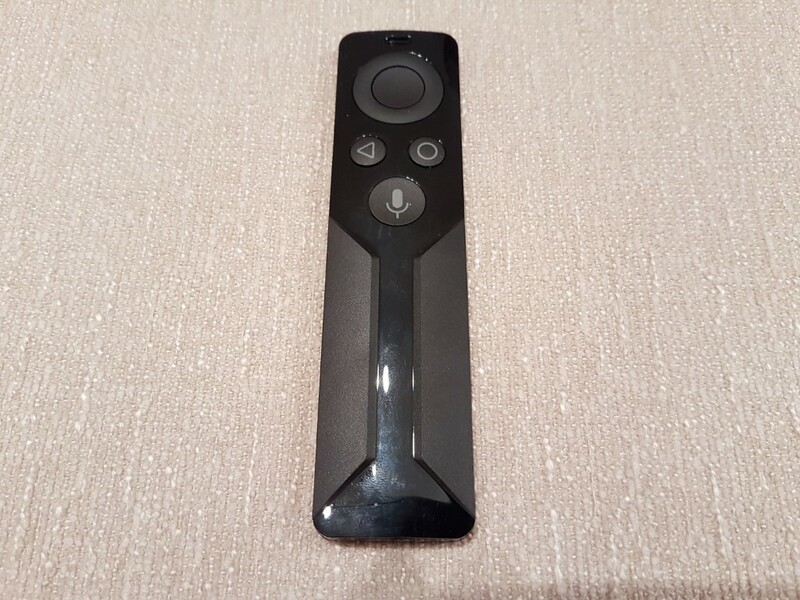 Also in black, made of plastic and with great grip (similar to Apple’s TV remote) but with included microphone for voice control. There is also a touch bar in the middle where you can swipe to increase or lower the volume (more functions to be added). Since the paring is via BT, no targeting towards the main unit is required. The gamepad is also very good. 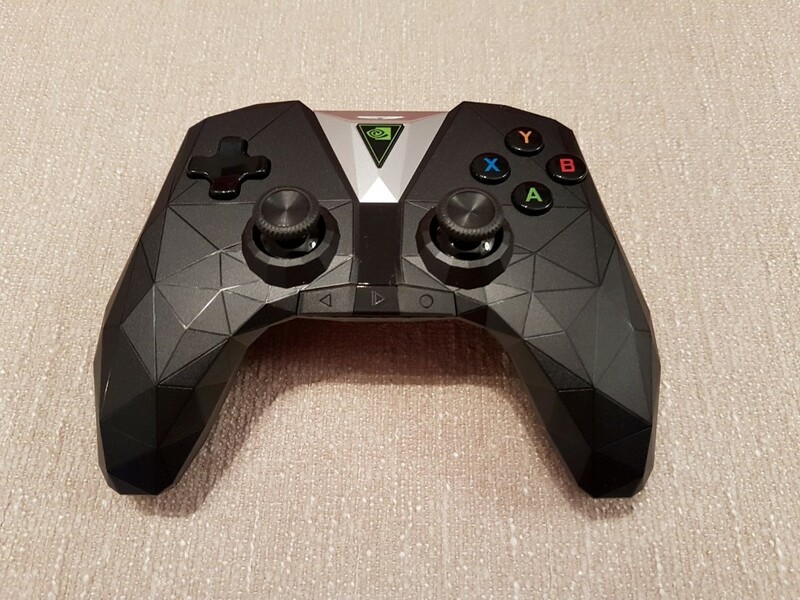 It maintains the triangle “sport” design of the main unit and it has a great grip. Build quality is fantastic and when in use it proves to be no slouch when compared to PS4’s and XBOX One’s controllers (SHIELD TVs controller is a bit bigger). In case you want to, browsing the player’s menus with the gamepad is also possible. Just like with the media remote, voice control is also present. 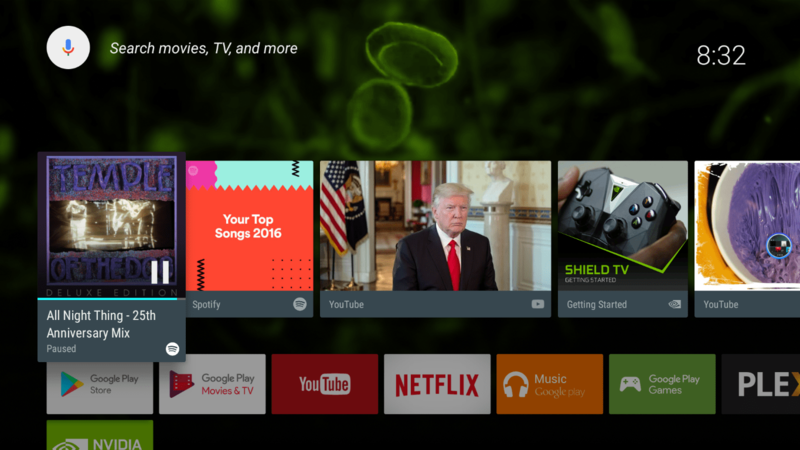 Menu layout/GUI is a typical Android TV one with some additions to NVIDIA’s special services. 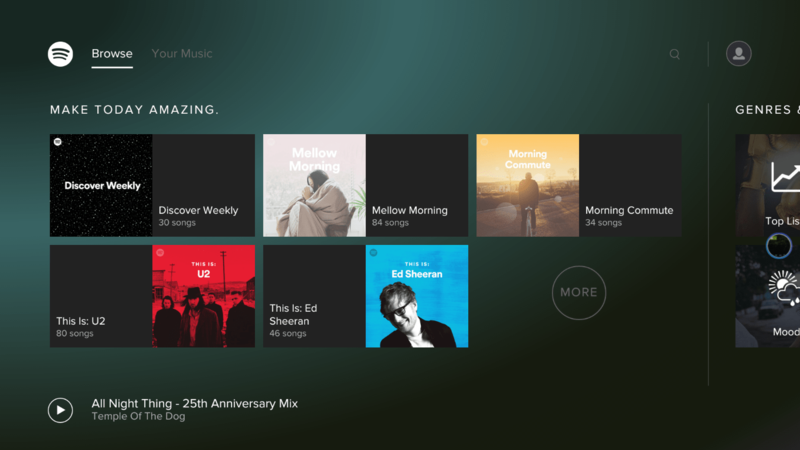 Just like the one we recently reviewed in Xiaomi’s Mi Box here, we are facing a modern, stylish but at the same time minimal and user friendly interface. 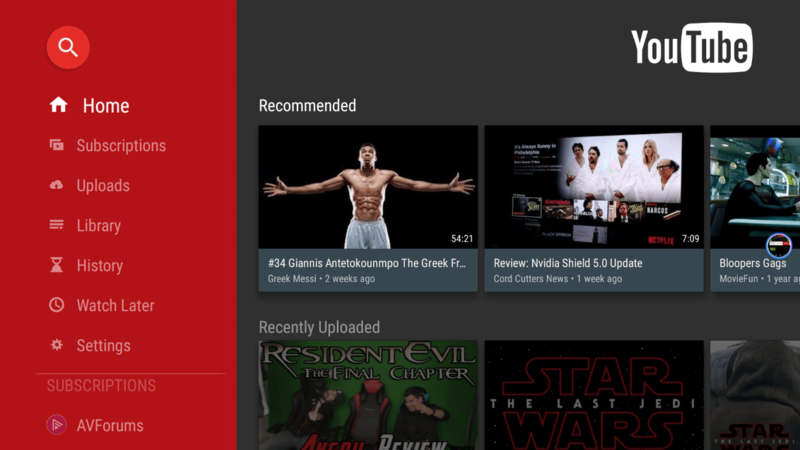 At the top, Google makes sure to show you news and videos of your liking (based on your history) and below you will find, per row, big icons for every application or game installed per category. Settings menu is different though, with a special sub-menu appearing on the right side. Everything required to setup SHIELD TV can be found there with special settings for video and audio not usually found elsewhere (power off option is found under the about tab!). SHIELD TV had perfect performance to all categories. The only “major” feature missing is (most probably due to hardware limitations) 3D support. We were never fans of sitting in front of the couch wearing 3D glasses (actually 3D TVs are slowly disappearing from manufacturers catalogs) but we are also certain that some owners of 3D capable projectors and TV’s might have a different opinion. At least, 3D.ISO/MVC files will appear as 2D on your screen. Anywhere else, performance is just great. 4K@60fps and compatibility with almost all available codecs is supported, and 1080p material has perfect support and playback as well. 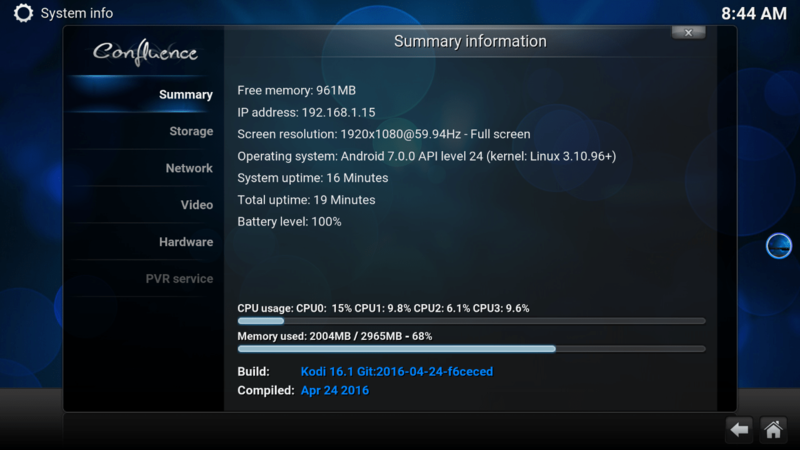 KODI is officially supported (it is better to install KODI 17rc3 or later since it adds support for HD Audio and other compared to official 16.1. 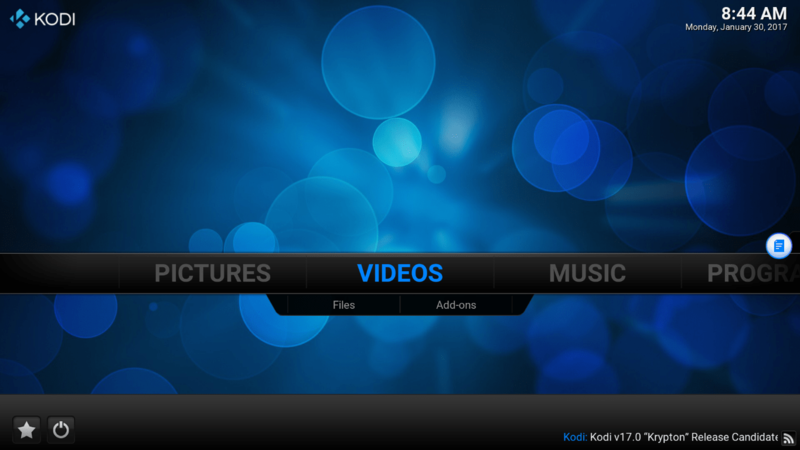 Also try SPMC player as well that is tuned for SHIELD TV) and should be your default audio and video player. 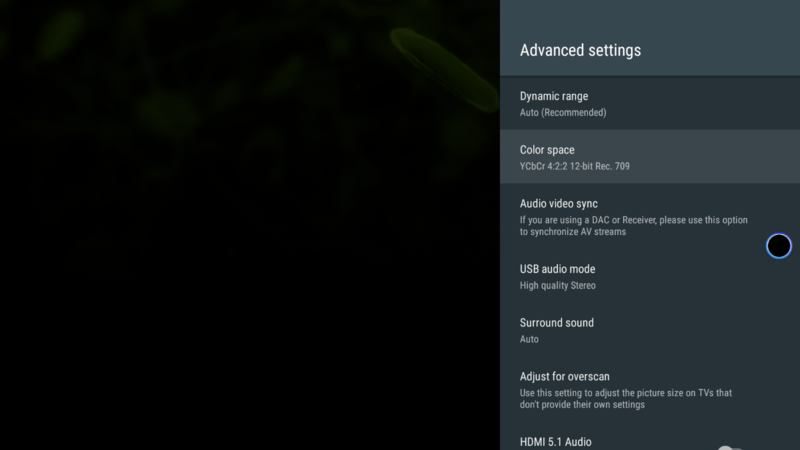 Auto refresh rate switching is supported. Networking performance was excellent through Dual Band 2×2 MIMO Wi-Fi module with the playback of high bit-rate BLU-RAY backups without any issue. As expected, wired performance was excellent as well through the Gigabit LAN port. Searching inside You-Tube or Play Store is a joy using voice control from the remote. Google can be proud for such integration. Just make sure your voice is clear and chances are you will rarely see different results. 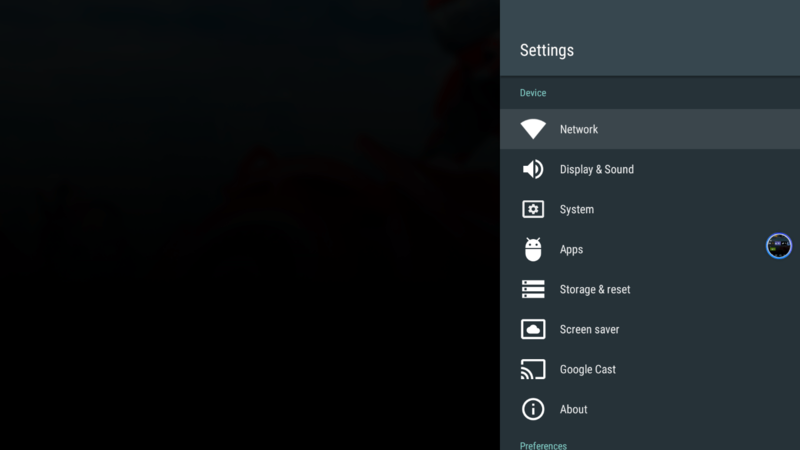 Navigating through the menus is very easy using the cycle button on the remote and the fast CPU alongside with 3GB of RAM makes sure that browsing will be near perfect. Gaming is a near perfect experience. With Tegra’s X1 256-core GPU, all available games in Play Store (including of course the exclusive NVIDIA ones) have perfect performance. SHIELD TV’s top hardware makes sure that small lags will be kept at minimum level, if any. 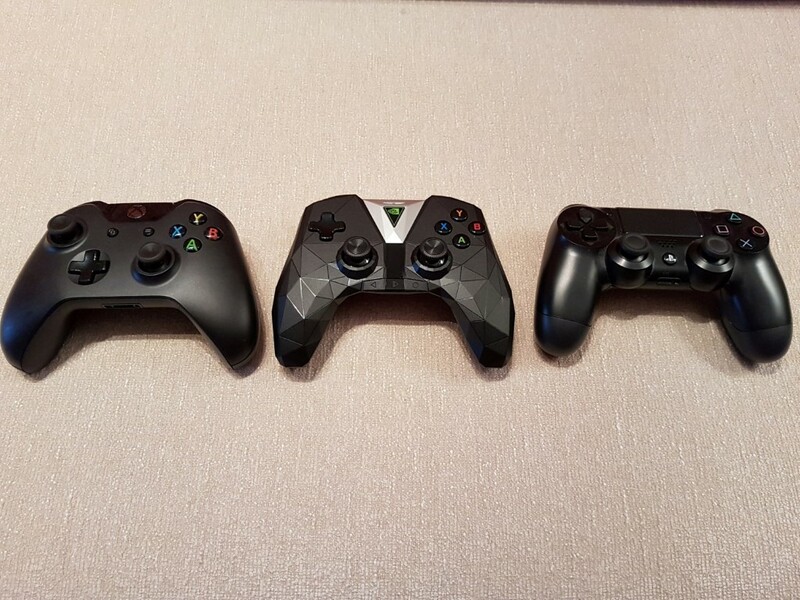 You can use the included gamepad that provides controlling experience similar to PS4’s and XBOX One’s. Here is where GeForce NOW comes in. NVIDIA’s own streaming service that allows you to play streamed games under a monthly fee/subscription. First 30 days are free so you should be able to find out soon if it suits your taste. 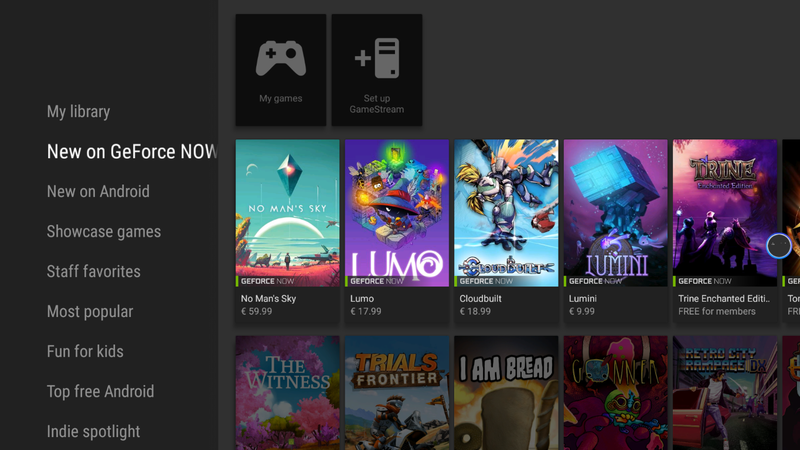 The available game catalog is quite rich (more than 100 titles) but not all of them are Grade-A. When we used the service (80ms ping, not the best around) the gaming experience was really good. Game streaming takes its toll mostly on first/third person action titles with (to be expected) few stalls, but not on a regular basis and certainly without reducing the enjoyment. Video streaming services are also perfect with support for 4K with HDR for both NETFLIX and AMAZON VIDEO. 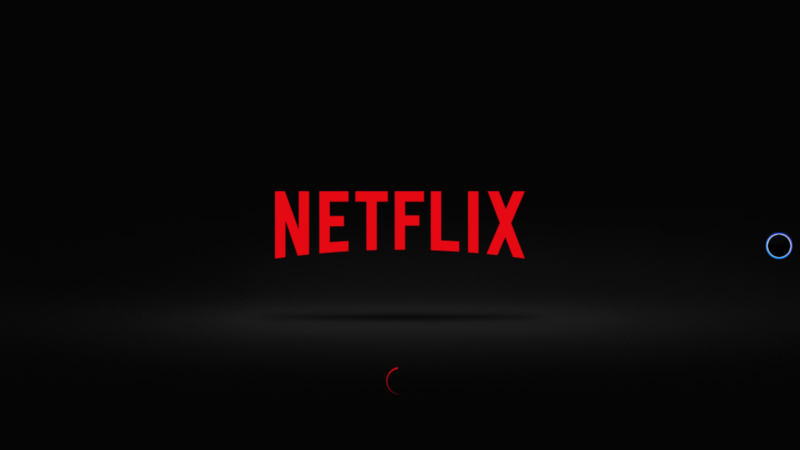 Unfortunately AMAZON app was not available in our region, but NETFLIX experience was perfect with 4K native playback. NVIDIA SHIELD will be updated to Android 8.0 (Oreo) sooner or later. 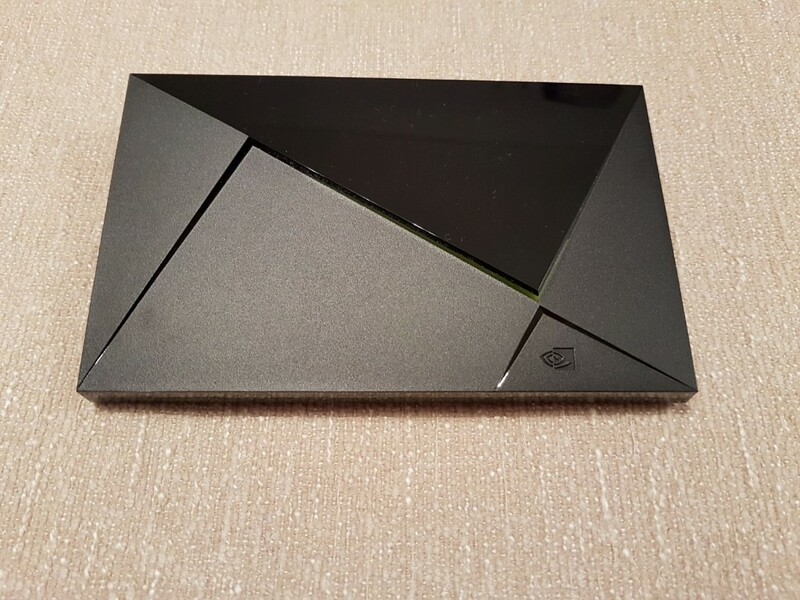 NVIDIA SHIELD (2017) is the best solution for a combined experience involving all audio/video and gaming services available. Every parts are selected (3GB RAM, TEGRA 256-core GPU, HDMI2.0b, excellent media remote and gamepad) and supported (NETFLIX and AMAZON VIDEO with official 4K&HDR support, GeForce NOW game stream, HD Audio, Auto frame rate switching) in the best possible manner to provide top performance. All of the above arrive at a price that is eventually justified at the end when you consider the level of hardware and support/features you are getting. If 199$/229€ is a price you can afford, then SHIELD TV is the best option out there.